A fascinating article appears in today’s NY Times about the history of Sriracha Hot Chili Sauce and its creator David Tran. Mr. Tran created his spicy concoction first in Viet Nam and then later founded Huy Foods after fleeing to the United States in 1980. 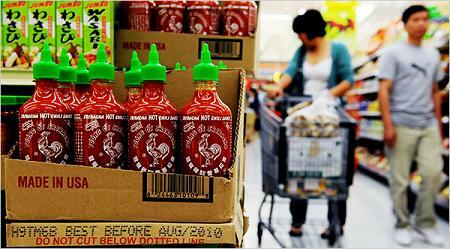 Phonatics have been enjoying their pho with Sriracha ever since.